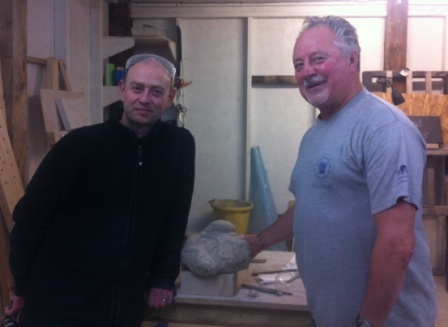 Tracy and Roger visited us from Surrey just after Christmas for a festive carving break – for Roger’s surprise Christmas present. Both Tracy and Roger got stuck in for a good day and a half of carving and made a seated figure and a shell & starfish relief. It is always rewarding to see how much new carvers can achieve in a short space of time.